Rashid Manhas Google Certified, Experienced, Bing accredited. These are just some of the ways to describe Rashid Manhas. His experience and professionalism has earned him these titles and his passion for his clients’ success has made him one of the top SEO instructors in the industry. The Rashid Manhas Mission Rashid Manhas provides SEO services for small to medium and enterprise level companies around the world. With many years of professional experience, Rashid’s techniques and SEO strategies have helped his clients’ business grow and succeed online. As a brand, Rashid Manhas has made it our mission to provide our clients with the higher levels of service and support they want and the effective SEO services their businesses need. 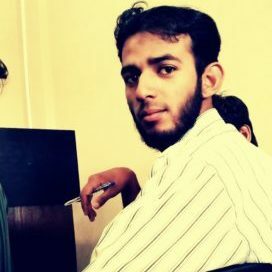 Rashid Manhas Timeline: •	(2011): Began Teaching SEO Techniques •	(2011): Providing SEO Services for Companies Just Like Yours •	(2015): Mechanical Engineer •	(2016): Obtained 5 Google Certifications including Analytics, Video, AdWords, Apps and Mobile •	(2016): Obtained Profession Accredited Certification Contact Rashid Manhas To learn more about Rashid Manhas and what we can do for your business, contact us today and let one of our representatives assist you and answer any questions you might have.